Engineered wood flooring is very popular with our customers across the Cheshire region. Whether herringbone parquet or long planks, the look of reclaimed timber or an oiled finish, a good quality wood floor looks fabulous and is worth the investment for any home. Flooring 4 You can supply and install wood flooring from one of the country and world’s leading wood flooring manufacturers, Havwoods International. If you haven’t heard the name, Havwoods have led the way for many years in wood flooring design and today they continue their quest to advance technologically and aesthetically with their floors. Their knowledge is vast ranging and perhaps the key to this is the fact they focus solely on wood floors by way of specialism. 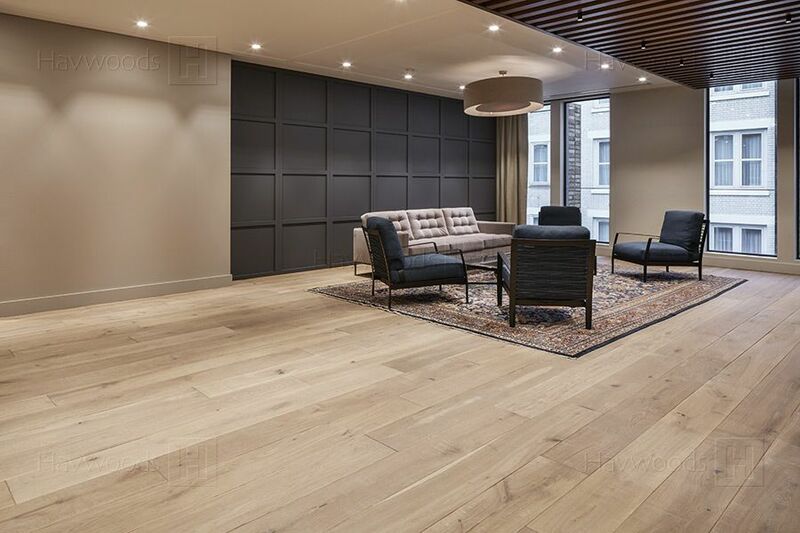 As well as in many homes across the country, Havwoods wood floors can be found in many famous outlets too, from Hotel Chocolat to Jamie’s Italian Restaurants and even the Paul Smith designer menswear showroom. 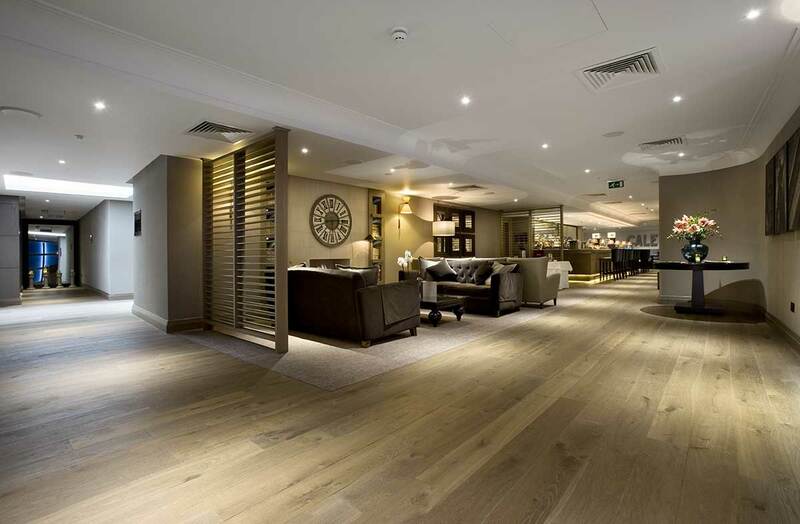 Showing: Jutland Character 180mm Engineered Oak wood flooring at the MacDonald Hotel in Windsor. With ranges from engineered and solid wood floors to going further within interiors with cladding, decking and even joinery, there’s around thirty collections to choose from. The engineered flooring alone comes in a vast choice of colours, shades, patterns, lengths and finishes, meaning you can find the perfect wood floor for your space. From light to dark woods, contemporary neutrals to rich, warm browns, there is a plank or pattern to style your room. And what you can be certain of with a floor from Havwoods, with their more than forty years of experience, is a high-quality floor designed to look fantastic, perform well and be installed in a way to guarantee its lifespan. Showing: Denby Character 220mm Engineered Oak wood flooring. And that's where Flooring 4 You comes in. When you invest in a high quality engineered wood floor, you want to be sure its installed to the highest standard. At Flooring 4 You, we do just that, and it all starts way before the actual installation process. We always carry out a free estimate at your property. for any flooring we install. But with engineered flooring specifically, we do this to not only measure the space and quote for the flooring you like, but to also take moisture readings to make sure the environment is right for the wood flooring. We also carefully check the sub floor and highlight any extra work required to make it right for the flooring you want. We make sure everything is considered for the very best finish, but more importantly so that you're left with a floor that lasts. An when you bear in mind the quality of Havwoods wood floors, and combine that with our engineered floor fitting expertise, you can be sure of a floor that looks great for years to come. 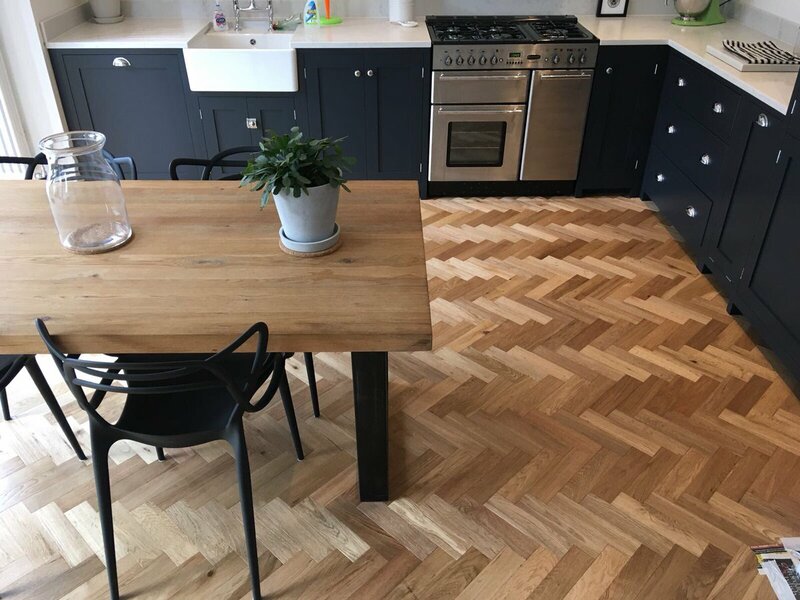 Showing: An example of a recent Havwoods engineered flooring installation by Flooring 4 You – this is Havwoods HW6402 Cottage Character, an engineered oak with a matt lacquered finish installed in a parquet herringbone pattern. If you love the look of Havwoods wood flooring and would like a free estimate for your home across the Cheshire region, contact us today to arrange a suitable date and time for our surveyor to visit.